What exactly is glamping? It's a combination of living a modern glamourous lifestyle and traditional camping. It's a new way of camping where you don't have to venture too far from the comforts of the home on which you've come to rely. 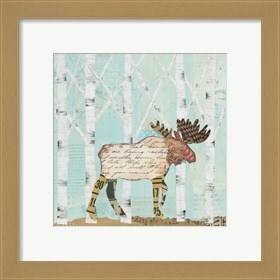 Instead, you can bring the outdoors in, simply by adding nature-inspired art prints to your modern home decor. With the new 2017 art trend, Glamping, you can create the best of both worlds in your home. How cool is that?! 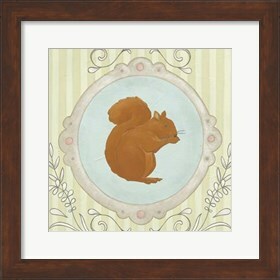 Glamping art has a variety of subject matter inspired by nature such as animal prints, trees, flowers and landscapes. 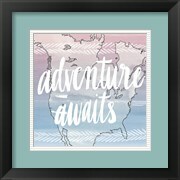 It also includes wanderlust inspired word art which easily expresses the vibe of this trendy collection. The color palette features an array of fresh neutrals with pops of vibrant purple, blue and pink hues. Get creative with this new art trend that combines the best of the outdoors with all of the luxuries of your home. Do you have an adventurous personality? 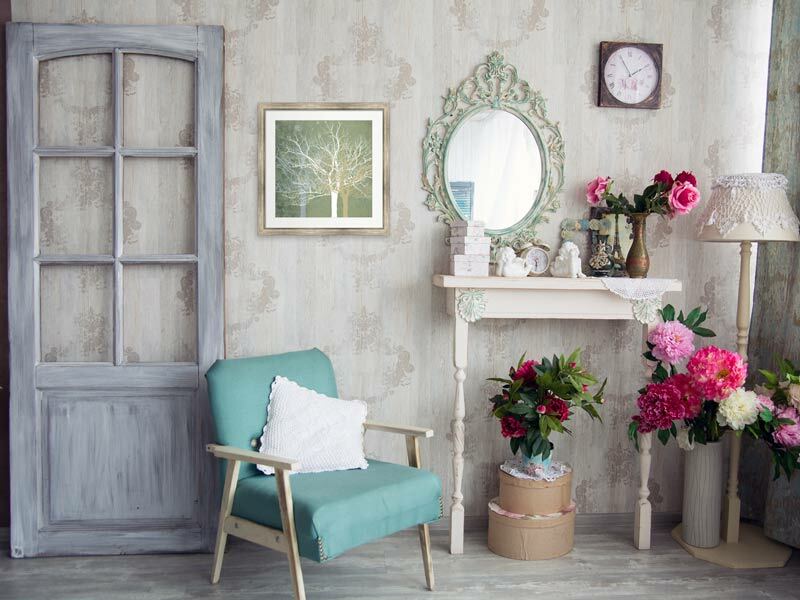 Create a wanderlust look and feel in your home to express your inner feminine explorer. 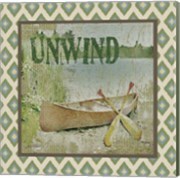 Glamping art has many word art prints that emanate wanderlust. 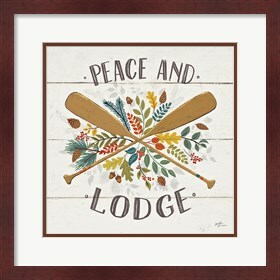 Prints like the "Peace and Lodge" series are great for your bedroom walls because they define the wanderlust message and showcase a soft neutral color palette. 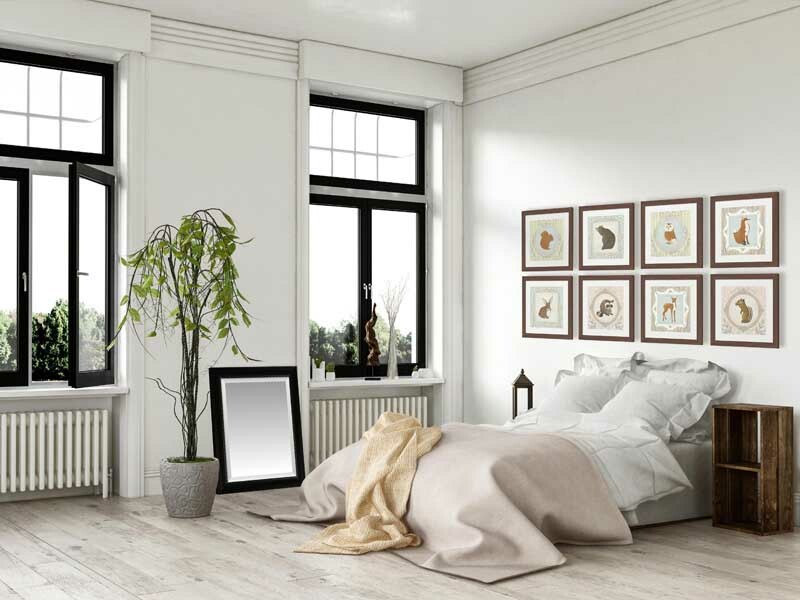 This creates a relaxing effect, in the perfect place to unwind, your bedroom. You can also go the opposite route and showcase your vibrant personality in a favorite lounge area. 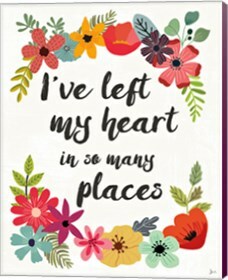 The "Words and Petals" series by Jess Aiken feature lively flowers that bring the beauty of nature into your home. 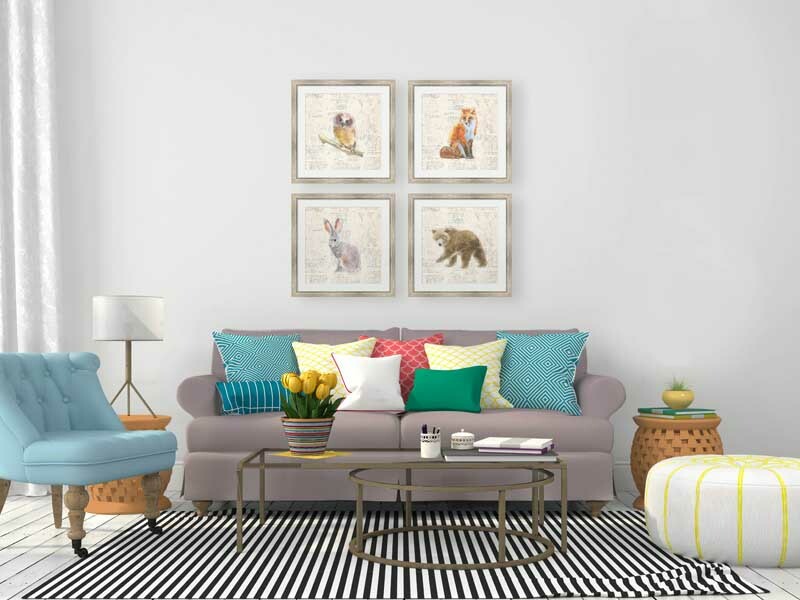 Because this collection features both soft hues and vivacious colors, you can use artwork to add a soft, feminine feel or glam it up glamping-style, with some bolder artwork that will really stand out. Are you inspired by nature? 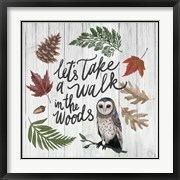 Give life to your walls with nature inspired art prints. 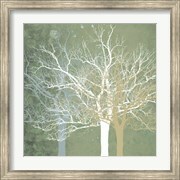 The "Gold Foil Elephant Tree" is a metallic foil art print that represents the "glam" factor in glamping art. 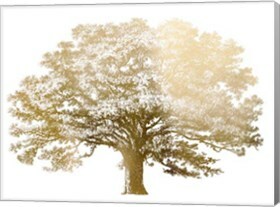 The symbolism of the tree represents life and growth and combining this powerful tree image with an elegant gold foil creates an instant focal point in your room. Using nature inspired elements that have been given a modern decor style is what this new art trend is all about! 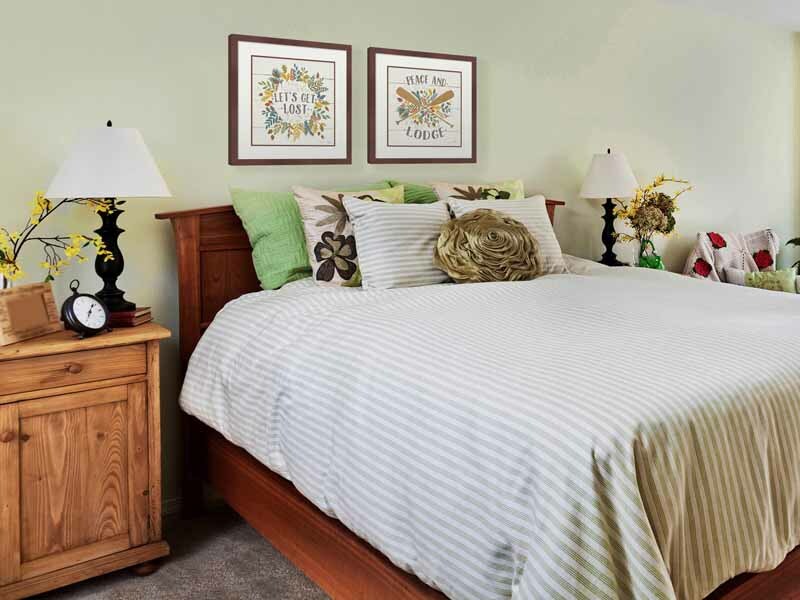 Floral art is also a great way to use outdoor inspiration in your home. 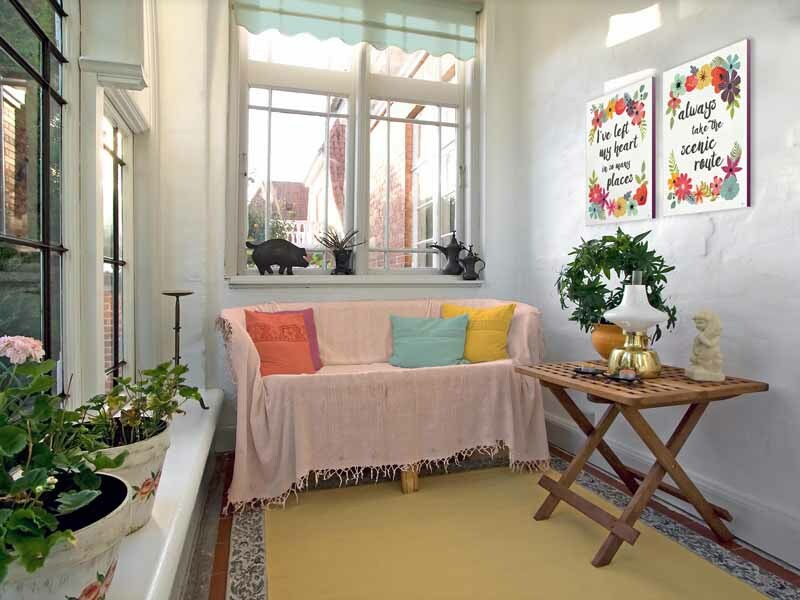 Pictures of flower arrangements, leaves and plants can be used in conjunction with the real thing to create a fun and flowery hideaway that will make you feel like you're in the real outdoors. 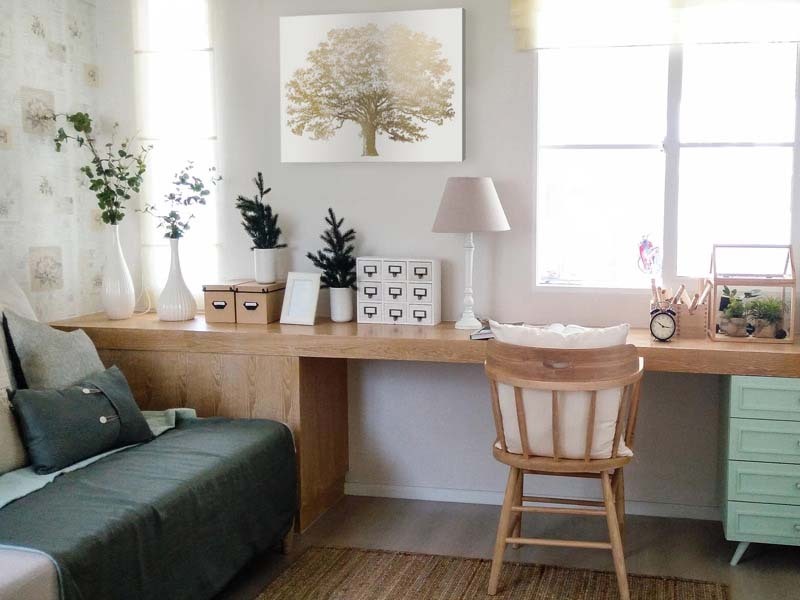 Using natural colors that can be found in the outdoors for framing, decor and furniture around the room is another way to make your look cohesive and organically inspired. What's your spirit animal? 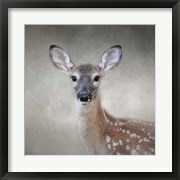 Glamping art features many wildlife art prints in modern and sophisticated styles. 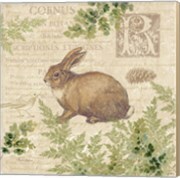 The "Forest Cameo" series of prints feature eight realistic interpretations of animals that reside in the forest. The pattern within the print is feminine and elegant. 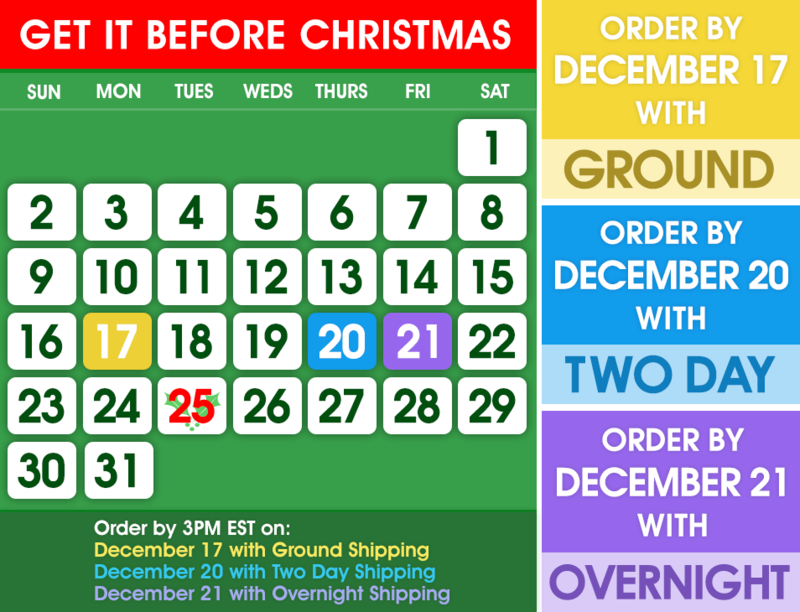 When deciding to hang this series of art be sure to select the same style, size and finishing for each piece. This unifies the collection and creates a cohesive look throughout the room. 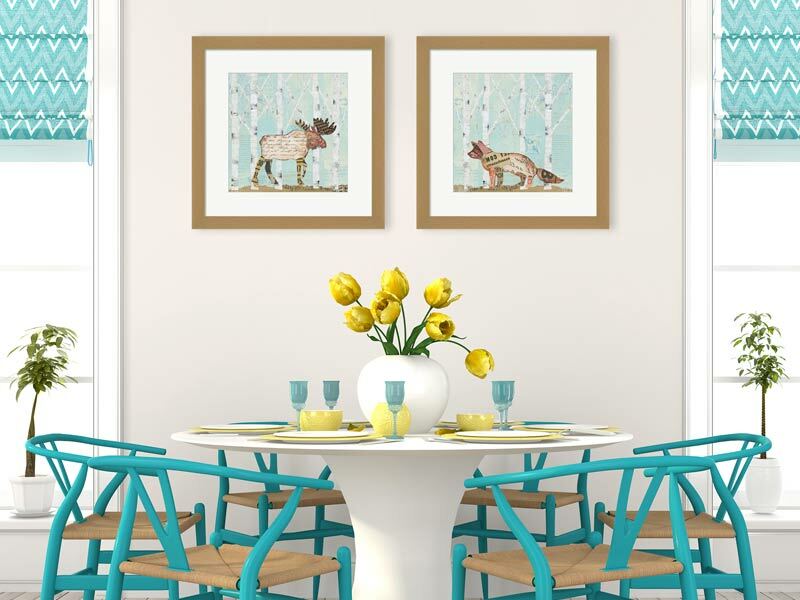 The series "In the Forest" includes prints with birch trees in the background and wildlife like the fox and moose, which are popular animals for decorating your walls. 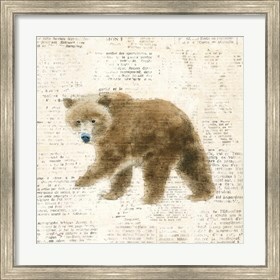 The artist Courtney Prahl presents these animals using a collage art style. This cut and paste technique results in the piece resembling a silhouette of an animal created out of printed newspaper. This series showcases a soft and muted neutral color palette, therefore pairing it with a natural frame finish brings out the hues within the print. Hanging this series on the walls of a vibrant modern interior, makes the art stand out against the rest of the decor. 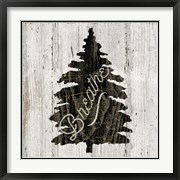 Follow FramedArt .com's board Glamping Style on Pinterest.